Featuring Dee Dee Bridgewater, Christian Scott aTunde Adjuah, Dr. Lonnie Smith, Repertorio Españ ol, a Celebration of Dr. Martin Luther King Jr. and more! 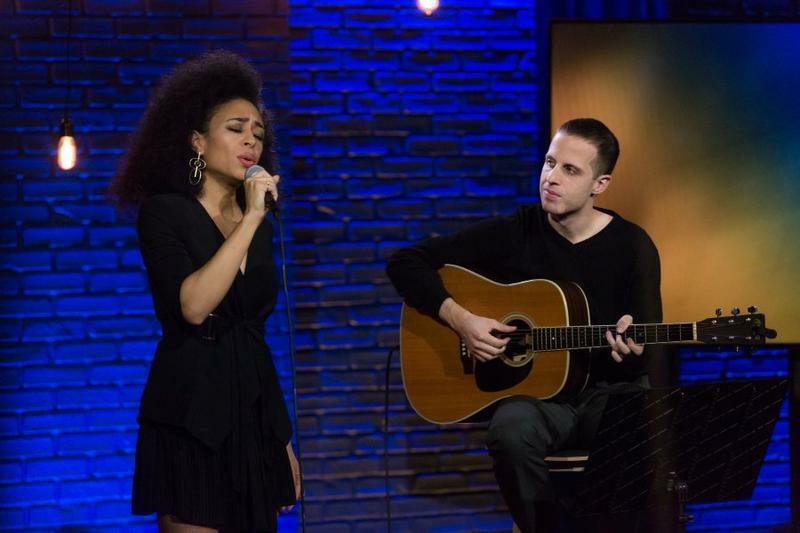 Connect with Harlem Stage on Facebook; Instagram & Twitter, or visit the website here! Harlem Stage, the legendary uptown venue that for over 30 years has promoted the creative legacy of Harlem and artists of color from around the corner and across the globe, is proud to present its Spring 2018 season of performances. The season is curated by Monique Martin, newly appointed Director of Programming for Harlem Stage and features artists who #Disrupt, and take creative risk. They reflect the times via a range of artistic genres, offering audiences the chance to experience legendary performers and rising stars. Grammy-nominated trumpeter Christian Scott aTunde Adjuah’s Stretch Music Residency is in its second year at Harlem Stage and this season the venue and will present the 2nd annual Stretch Music Festival, a FREE Stretch Music Intensive, along with a film screening and conversation series. 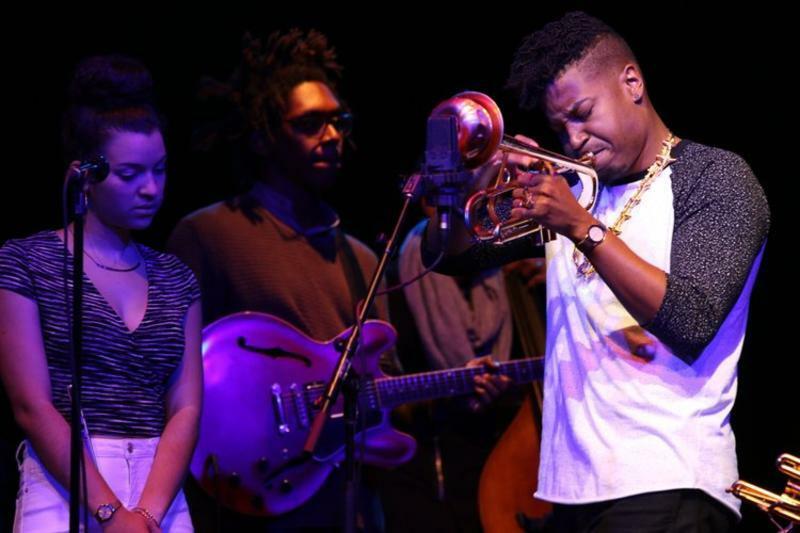 The second year of the Stretch Music festival features Christian Scott aTunde Adjuah and his band along with musicians who push the boundaries of form as they reach back into the past creating bridges to right now. Rhythms such as Kassa Soro from the North East Highlands of Guinea, that predate the transatlantic slave trade as well as Salsa, Son and Swing which came after those rhythms, can be heard on Blues, Funk, Trap, Hip Hop and Stretch Music. In this Festival you will hear a complete reevaluation of these cultures with the intent of building new bridges, new landscapes and new forms. This year’s festival will feature bands led by The Curtis Brothers, Max Moran and Neospectric, Lawrence Fields, Kris Funn and special surprise guests. Vocalist Candice Hoyes, a storyteller of vast range and personality and two-time Bessie and Princess Grace Award winning tap dancer and choreographerDormeshia Sumbry-Edward, will debut a night of music and dance inspired by the life of Lena Horne. “Lena Horne at 100,” will offer a melodic journey through Horne's seven decade career, accenting the bravery and vulnerability that make Horne's legacy utterly modern. Later in the season, vocalist and composer Imani Uzuri will present “Hush Arbor (The Opera),” a mercurial musical meditation exploring themes of death, rebirth, impermanence and transcendence. The contemporary chamber opera is inspired by hidden gathering places called "hush arbors" created by enslaved African Americans in wooded areas in the South to secretly worship, commune and strategize rebellion. The concert will feature polyphonic singing, instrumental rumblings and poetic text. Major support for the early development of WaterWorks artist Imani Uzuri’s Hush Arbor has been provided by the MAP FUND, supported by the Doris Duke Charitable Foundation and the Andrew W. Mellon Foundation. 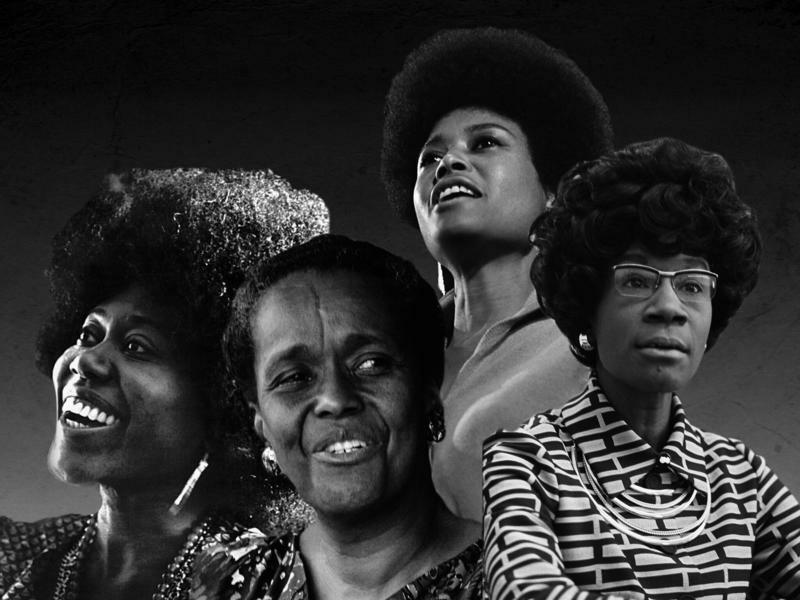 This year for their signature series Uptown Nights, Harlem Stage has partnered with the National Black Theatre to celebrate the contributions of Black women pioneers from the Civil Rights and Black Arts movements with “Mothers of the Movements.” This two-part series pays tribute to iconic women, including Dr. Barbara Ann Teer, Abbey Lincoln, and Ella Baker. Longtime Lincoln collaborator, Marc Cary will re-imagine the seminal album, “We Insist! Max Roach’s Freedom Now Suite,” with Terri Lyne Carrington, Reggie Workman, Sameer Gupta, Edmar Colón, and surprise guests.“Mothers of the Movements” is presented in collaboration with Carnegie Hall Festivals, The ‘60s: The Years That Changed America, a citywide festival January 14 – March 24, 2018. Dance enthusiasts can enjoy the return of Harlem Stage’s signature dance series E-Moves. E-Moves presents four contemporary and innovative African choreographers who have been commissioned to create or re-imagine new work that is culturally referential, arresting and fresh. 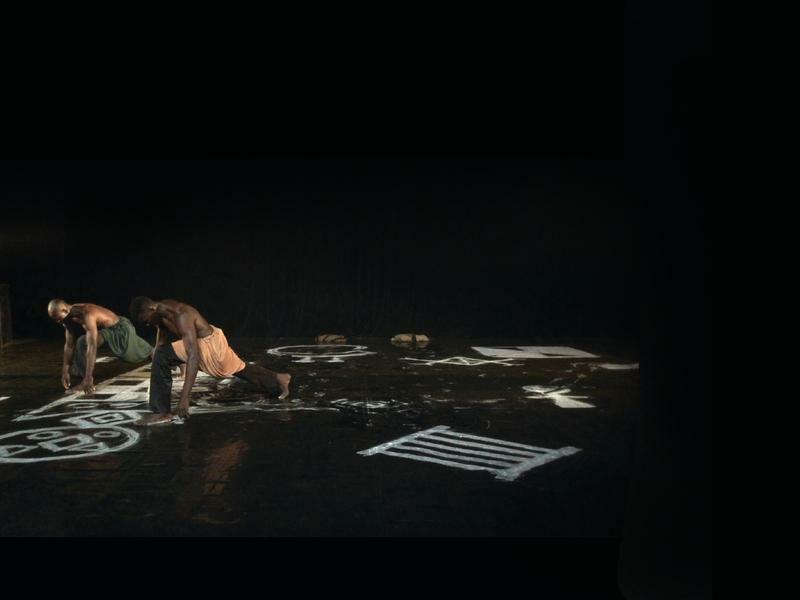 Adaku Utah, Lacina Coulibaly, Ousmane Wiles and Nora Chipamire wrestle with questions that push the boundaries of what it means to be African in America now. There are also several Dance Parties, including, Harlem’s own “The Shed Open Jam,” hosted by Grammy award winning musician/engineerAnu~Sun and featuring Sundae Sermon’s DJ Stormin’ Norman and DJ Luna, who come to Harlem Stage for a special Grammy week edition. Later, “Swing Out! : A DJ Dance Party!,” offers a Swing dance/lindy hop edition featuring vocalist Charles Turner III & Uptown Swing. In tribute to Harlem’s own famed Swing dancers Frankie Manning, and Norma Miller,join us for a swinging party to a live band and DJ and dance class lead by Traci Bartlow and Samuel Coleman. The Stretch Music Intensive” is a FREE immersive workshop for all music students, lovers of music, and emerging musicians. Join Edison Award-winning and Grammy-nominated trumpeter, Christian Scott aTunde Adjuah and his incredible ensemble, as part of The Stretch Music Residency with today’s most creative improvisers. 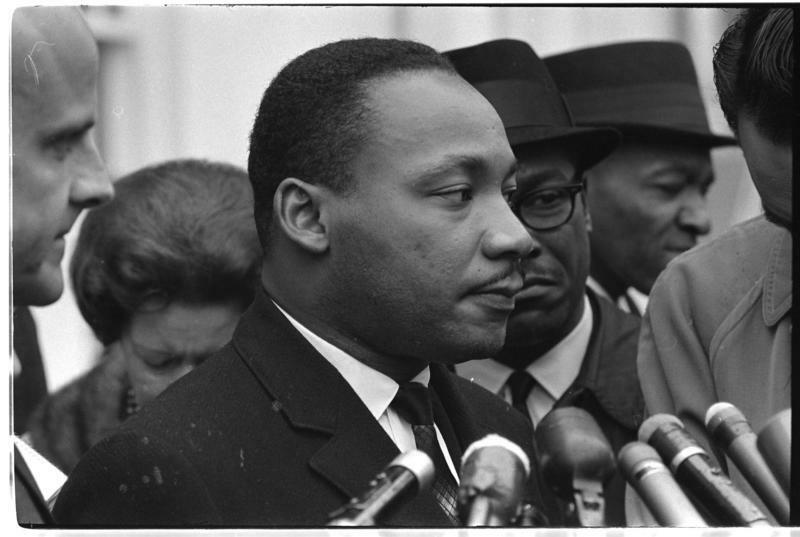 On April 4, join Harlem Stage for a FREE musical, visual and movement celebration of the legacy of Dr. Martin Luther King as a civil-rights leader and humanitarian, on the 50th anniversary of his assassination. Later in the season, NEA Jazz Master Dr. Lonnie Smith will present a memorable FREE jazz performance “HARLEM Stride Jazz Now.” With a career spanning over five decades, Smith stands as the preeminent Hammond B-3 organist in jazz today. He has been featured on over seventy albums, and has recorded and performed with a virtual “Who’s Who” of the greatest jazz, blues and R&B giants in the industry. Presented in collaboration with Carnegie Hall’s Neighborhood Concerts. To close out the Spring 2018 season, join Harlem Stage for a FREE screening of“A Luv Tale,”an edgy romantic comedy set in culturally rich and historic Harlem. The film examines friendship between four beautiful and cultural lesbians of color navigating their complex lives through a world of art, music, consciousness and love. This special Pride program is part film screening, part conversation and part uptown hang. Click Here to Visit the Harlem Stage Spring 2018 Schedule Online! 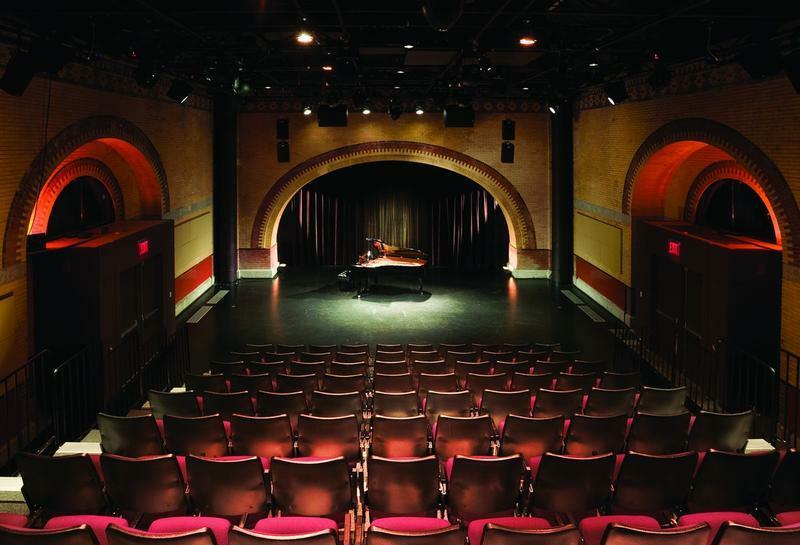 Harlem Stage is the performing arts center that bridges Harlem’s cultural legacy to contemporary artists of color and dares to provide the artistic freedom that gives birth to new ideas. For over 30 years Harlem Stage has been one of the nation’s leading arts organizations, achieving this distinction through its work with artists of color and by facilitating a productive engagement with the communities it serves through the performing arts. With a long-standing tradition of supporting artists and organizations around the corner and across the globe, Harlem Stage boasts such legendary artists as Harry Belafonte, Max Roach, Sekou Sundiata, Abbey Lincoln, Sonia Sanchez, Eddie Palmieri, Maya Angelou and Tito Puente, as well as contemporary artists like Bill T. Jones, Christian Scott aTunde Adjuah, Tamar-kali, Vijay Iyer, Mike Ladd, Meshell Ndegeocello, Jason Moran, José James, Nona Hendryx and more. Its education program each year provides over 1,000 New York City children with introduction and access to the rich diversity, excitement and inspiration of the performing arts. In 2006, Harlem Stage opened the landmarked, award-winning Harlem Stage Gatehouse. This once abandoned space, originally a pivotal source for distributing fresh water to New York City, is now a vital source of creativity, ideas and culture. Harlem Stage is a winner of the William Dawson Award for Programming Excellence and Sustained Achievement in Programming (Association of Performing Arts Presenters).